The exterior of 81 Main St. in downtown Bangor. Complete Labor & Staffing, a temporary employment agency, will soon open its newest office at 81 Main St. in downtown Bangor. Based in Londonderry, New Hampshire, the company operates 13 offices in Maine, New Hampshire, Massachusetts and Connecticut. It offers temporary employment services in skilled and unskilled labor, including jobs in landscaping, construction and driving. Calls to Complete Labor & Staffing’s corporate office and to company partner Shawn Anderson were not returned Friday. An exact opening date for the Bangor office is not known, though the company held a recruitment session at the Bangor Career Center in January, and workers were installing signs on the front of the building Friday morning. The company’s new staffing office at 81 Main St. will fill a storefront that has been empty for the past year. The space has seen a number of different tenants over the years, including a number of retail stores and, from 2013 through early 2018, the Maine Holistic Center, a community wellness center. 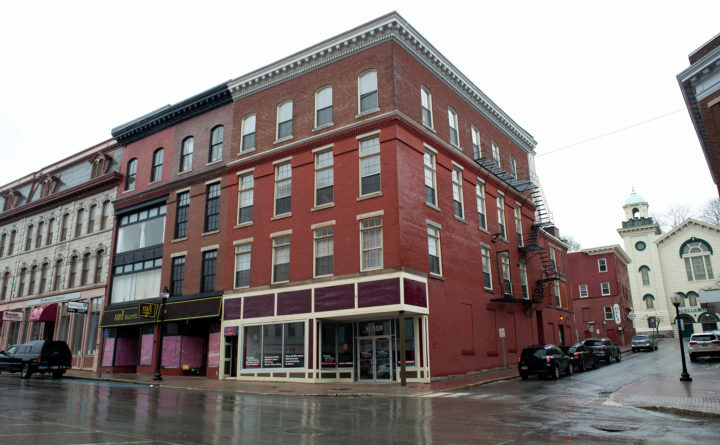 81 Main St. was for many years owned by Paul Cook, a downtown Bangor property owner, but Cook sold the building in December 2016 to BR Holdings, a company owned by local lawyers Richard D. Tucker, Joshua Birocco and Travis C. Rackliffe, all partners in Tucker Law Group. Tucker Law Group’s offices are located on the upstairs floors of 81 Main.